Vulcan GMS produces a variety of solutions for small arms ammunition. 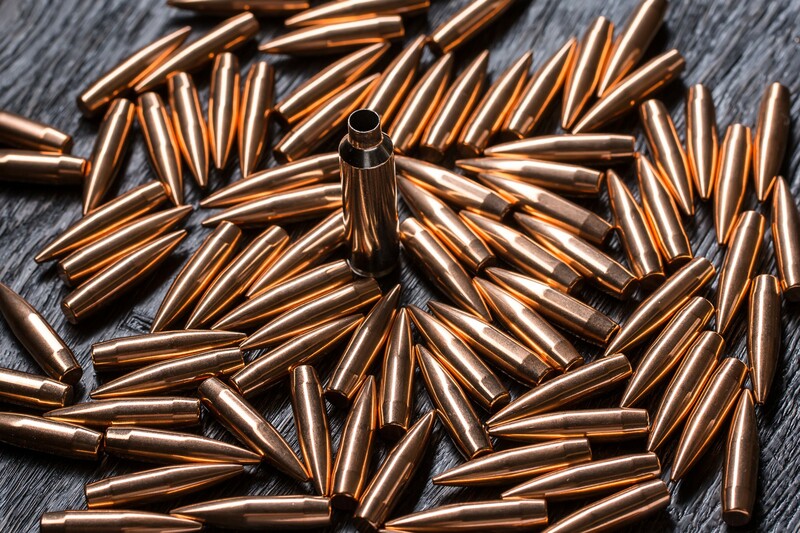 Typically small arms ammunition from air gun pellets to 50-caliber bullets use lead cores. Vulcan GMS offers a variety of solutions for the ammunition market. Vulcan has five extrusion presses allowing us to push lead wire that is used in the production of lead core in bullets. We can offer this wire in barrels or on coils based on customer needs. In some applications, we can offer cut core based on your specific needs. Vulcan can produce this wire in many alloys from pure lead to high antimony and tin blends as well as pure tin. Many manufacturers use lead billets to feed their extrusion presses. Vulcan can offer custom billet sizes to our customers that will fit your extrusion press requirements. These billets are lead cylinders of a defined diameter and length. We can blend any alloy of lead-based materials that you may need. Vulcan has multiple die casters allowing us to mold lead based alloys. Die casting is like injection molding using metal. A mold is made which may have multiple cavities based on design and needs. The mold cycles close and molten metal is injected into the mold to create a finished part. Vulcan offers several raw material options for your needs. Vulcan can offer lead ingots in many sizes and alloys for your casting and pouring needs. Please contact us to discuss these needs and what solutions we can offer.